The Joint Tactical Radio System was an amazing concept put forward by the US military. It was designed to future-proof the entire communications system used by all US defense organizations, which is why it required 15 years of work and the investment of $6 billion dollars. Sadly, things didn't go to plan. "Military technology often pushes at the edge of the doable-that's why agencies like DARPA exist. 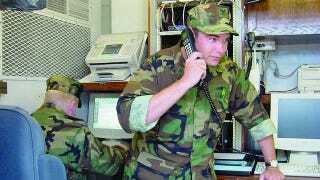 But when JTRS was originally conceived in 1997, the Army's most significant previous work on software-defined radio was an Army project called SpeakEasy-the first version of which took up the entire back of a military truck. Clearly, an ambitious project like JTRS had plenty of basic research to chew through before it could produce anything useful. In hindsight, the military badly underestimated the challenges before it."